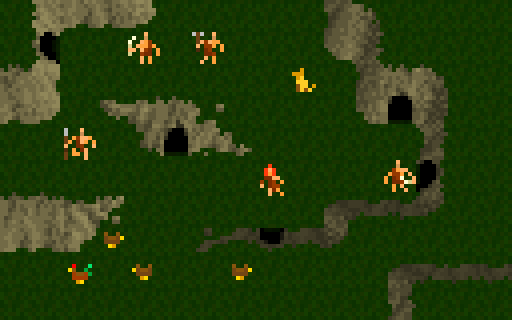 I've just tried to tweak the cliff tiles a bit for improved readability. To help get the perspective across I have added a layer of shading to the cliffs to darken them at their base, I have also added a very slim shadow (all there was room for) to help differentiate the different levels in the terrain. What d'you think? any improvement? ...well not quite that bad, but they did give me a headache when a power-cut lost all my work and I had to start again. 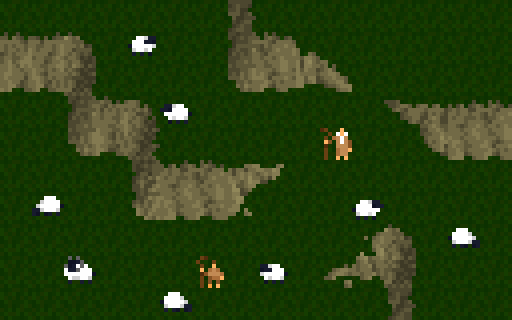 Anyway, here are some cliffs for the overworld. They follow the same perspective as the indoor tiles (roughly) but are designed to work on a slightly larger scale. Because of this there are a few rules for their deployment. Front facing cliffs take up two rows of tiles and the tale ends of cliffs also take up two tiles. i have also included varients for each piece to insure the rock formations look relatively natural. 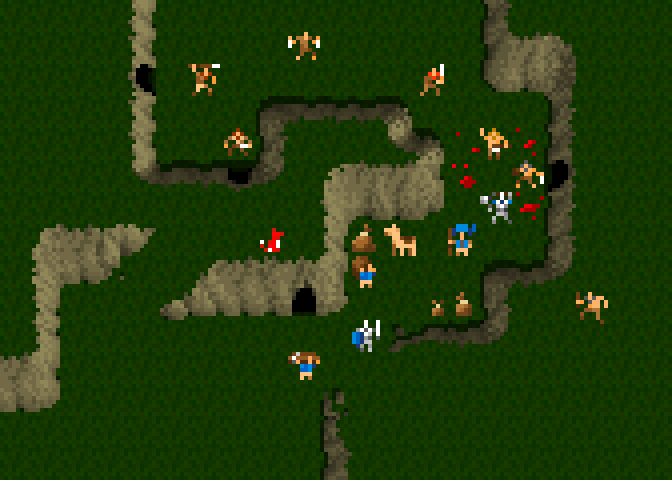 I want navigating the overworld to have a different pace and texture to the dungeon levels. Partly to add variety to the environments, but also to accentuate the claustrophobia of subterrania. 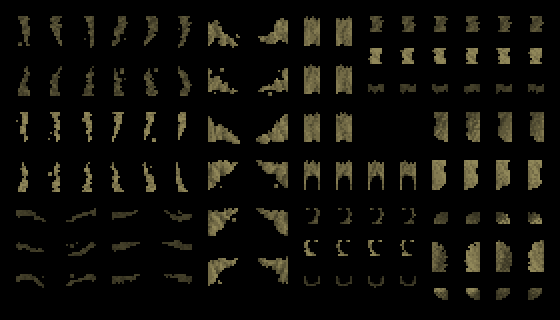 Hopefully when I have tiles for buildings, roads, rivers, plant life and ruins some of you fine folks will be able to make some exciting world gen algorithms.